Minister of Finance, Economic Planning and Development Goodall Gondwe has decried high interest rates which he said have denied the country investment opportunities to spur economic growth. Speaking yesterday in Mangochi when he opened the Monetary Policy Conference convened by the Reserve Bank of Malawi (RBM), the minister said he was positive that interest rates will further go down next year to unlock capital for private sector investment. Said Gondwe: “High interest rates are not conducive for investments because they determine how much investments you are going to have in an economy. The lower interest rates you have, the higher the investments. He said Treasury was hoping the central bank would cut further the policy rate—currently at 16 percent—as promised by RBM in September. Gondwe said this has not materialised because of the shortage of food, which has put inflation under pressure. But RBM Governor Dalisto Kabambe said the central bank is transitioning from monetary aggregate targeting, which it has used since 1994, to more forward-looking inflation and interest rate targeting. Under this framework, the policy rate, or the bank rate, is set as an anchor for short-term interest rates such that short-term interest rates, particularly the interbank rate, are kept within a defined corridor. “We also have a complete suite of models to aid structured and evidence-based monetary policy conduct,” he said. In his contribution, Malawi Confederation of Chambers of Commerce and Industry (MCCCI) chief executive officer Chancellor Kaferapanjira asked authorities to tackle high interest rates and interest rates spread, which he said continues to be a cost to doing business. 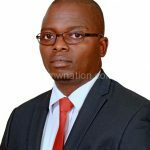 On his part, Economics Association of Malawi (Ecama) president Chikumbutso Kalilombe observed because of high interest rates, Malawi continues to lose out on investments. In September 2018, the Monetary Policy Committee (MPC) maintained the policy rate at 16 percent since it was last revised downwards by two percentage points in December 2017, largely due to decreasing inflation rate, currently at 9.5 percent as of September 2018, according to the National Statistical Office (NSO). As as result, commercial banks have pegged their interest rates at between 23 percent and 25 percent. 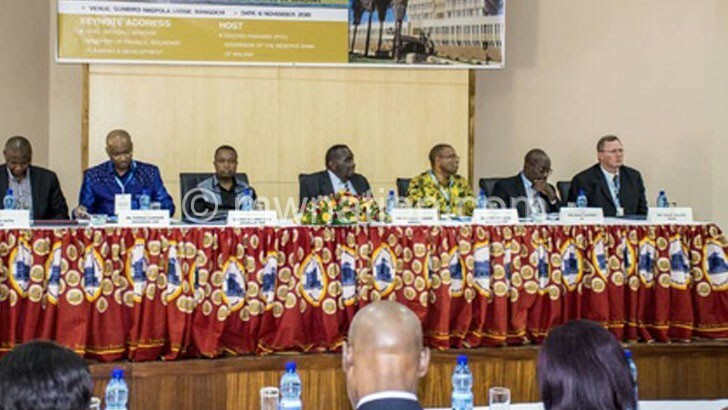 The conference, which brought together fiscal and monetary policy experts from within and outside, among others debated whether Malawi should consider adopting interest rate capping, which is not a new phenomenon in Malawi. Interest rate capping is a regulatory measure that prevents banks or other financial institutions from charging more than a certain level of interest. Until 1987, RBM was setting capping interest and exchange rates and stopped in 2012.